Andrew Wyeth – private collection. Title: Flood Plain. Date: 1986. Materials: tempera on panel. Dimensions: 62.2 x 121.9 cm. Inscriptions: Andrew Wyeth (lower right). Sold by Sotheby’s in New York, on November 18, 2005. Source: https://www.flickr.com/photos/gandalfsgallery/31923084962/sizes/o/. This entry was posted on February 26, 2017 by adfarga. 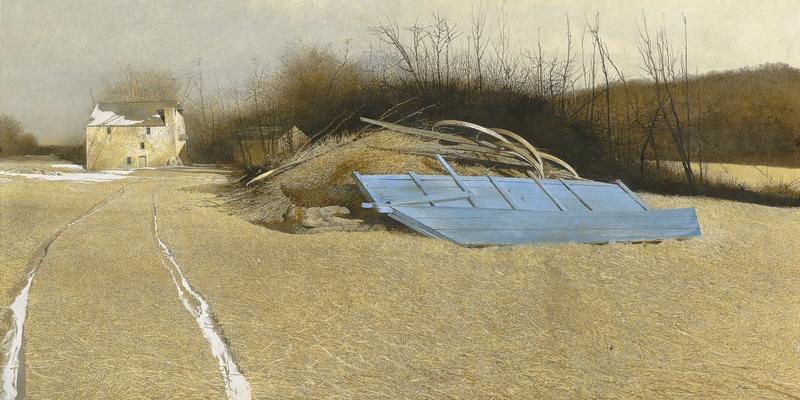 It was filed under Andrew Wyeth, private collection and was tagged with Andrew Wyeth.